The entire police force in a small Indiana town resigned this week amid allegations that the town’s leadership has acted inappropriately. "This was our last effort to make a statement," former Marshal Michael Thomison told NBC News on Thursday. The resignation of the force follows the November resignation of two other reserve deputies. The extreme action has drawn a lot of attention and leaves officials in the town scrambling for new recruits. Bunker Hill officials issued a statement Wednesday night refuting the deputies’ assertions and chalked up the resignations to disagreements in policymaking. "The resignation of the entire police force has come as a shock to the council," the statement said. "It has never been the goal to dismantle or otherwise endanger the town police department or officers." 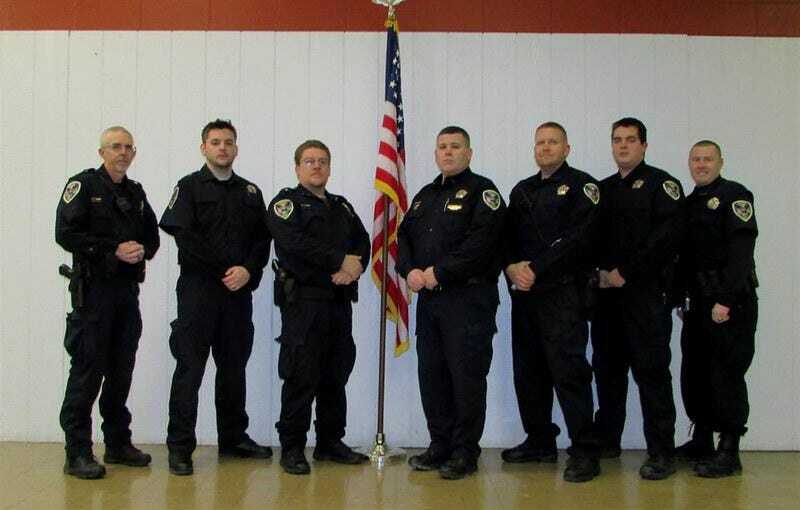 Thomison, who joined the force in 2012 and became marshal in 2013, told NBC that the relationship between police and town government deteriorated when newly elected members took control. He said that some board members would ask him to conduct criminal background checks on other members. Thomison said he told them that was inappropriate. Thomison also alleged that deputies who had pulled over a council member or a council member’s wife were retaliated against on at least two occasions. There was also the problem of inadequate supplies and low funding for the force. Members of the force are voluntary and do not receive benefits; Thomison was the only paid full-time member. Thomison added that deputies had to share a single bulletproof vest and were told to use only one of the town’s two cruisers in an effort to save on gas. Thomison told NBC that he was upset after he returned to work earlier this year following a cancer diagnosis and was told that he should work part time because his insurance was costing the town too much money. He said that he tried to work with the town over the department’s grievances, but there was no reply. Town officials denied failing to provide body armor in the statement but acknowledged "a number of cuts to the police department over the last few years. … The cuts made to the police department were not made with the intention of jeopardizing the safety of any of the town's police officers. Over the last few years, the Council has made attempts to find additional money for the department. "Further, the council absolutely denies that it has ever asked Mr. Thomison or any of the reserve deputies to be involved in any illegal, unethical or immoral actions," the statement said. Officials told NBC News that they are in the process of hiring new officers. Thomison told NBC News that he is sorry to have to give up a job where he could help people. The last call he took was for a potential suicide. "We all loved the town, the people, the community," Thomison said. "But it was one of those things that it was best to step down."